Be as enchanting as a fairy king or queen when you wear our fairy pendants and charms. 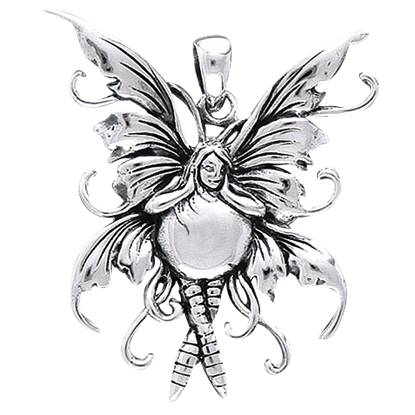 Made of high quality materials like sterling silver, white bronze, and fine pewter, we offer an incredible selection of fairy pendants and charms perfect for wearing on your own necklace chain or cord or for attaching to your own charm bracelet. 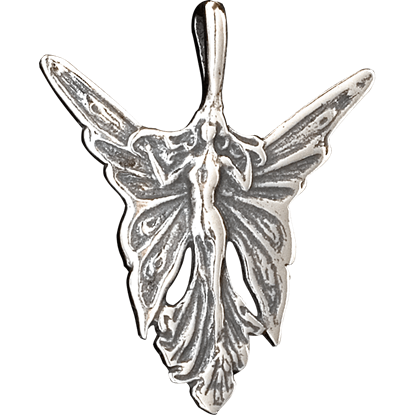 Many of our fantasy fairy pendants display the images of fairy maidens in flight and fairy queens. Shop gorgeously detailed fairy wing pendants, fairy moon charms, gemstone fairy pendants, and delicate fairy charms here, all ready to add unique fantasy style to your everyday looks or special occasion outfits. 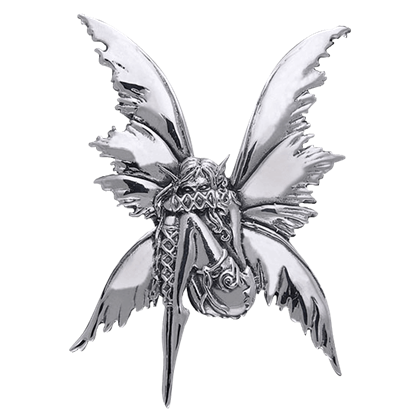 The exclusive 3D Butterfly Fairy Pendant can be the new accessory to set you apart. A truly stunning design, this piece captures the playful spirit of fairies and will easily compliment any outfit you pair it with. Allow the playful 3D Butterfly Pentacle Fairy Pendant to finish your look today. This stunning accent can easily compliment any outfit, and will make you the topic of conversation while attending your next social event. 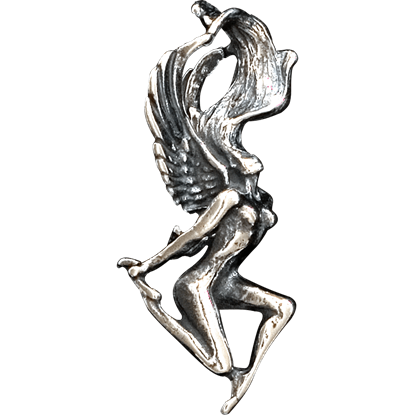 The elegant 3D Fairy Profile Pendant is the perfect way to add some fantasy to your wardrobe. A playful portrayal of a butterfly fairy, this pendant will have everyone asking you where you found this dazzling accent piece. 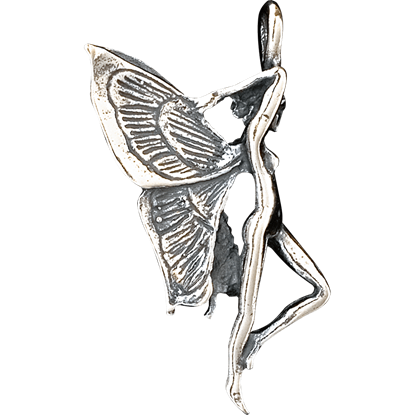 Capture an image of pure fantasy with the 3D Frolicking Fairy Pendant. This fairy has been frozen in mid jump and her playful spirit is now ready to accent your look. Be sure to grab one of these stunning pendants today. Everyone has days where they are feeling a little bashful, but we think that is normal for fairies. 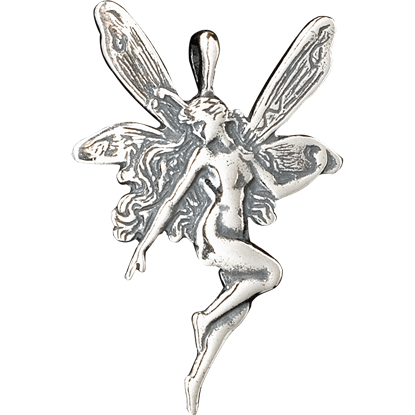 Get the Bashful Fairy Pendant and add a shy yet cute fairy to your collection of lovely fantasy accents and accessories. 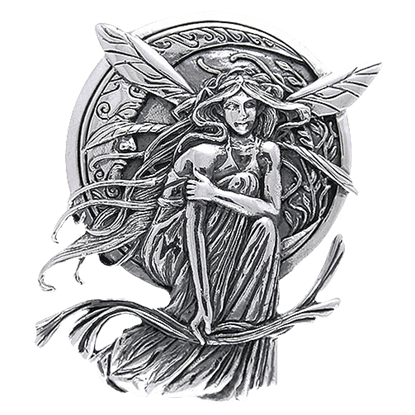 The Bella Luna Fairy Silver Pendant captures the enchantment, whimsy, and charm of the fairy, making this a must-have accessory for those who want to celebrate the magic and fantasy of the fae realms. Start your Fairy collection with the Bubble Rider Fairy Pendant. Crafted in sterling silver, this fine fairy piece offers great style and a bit of fairy magic to proudly display in your different attires. 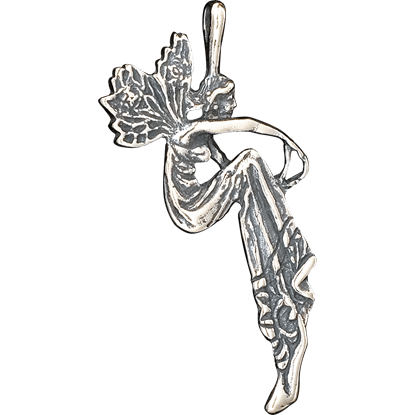 The fun loving Dancing Fairy Pendant will inspire you to let your hair down and enjoy life. This elegant accent can be a wonderful reminder to take a moment and enjoy all of the little things that life has to offer. 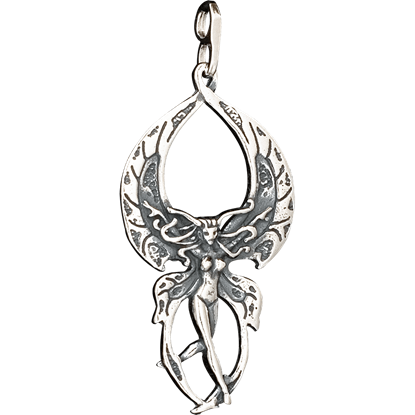 The Double-Sided Sitting Fairy Pendant is a wonderful reminder of how we should all take a moment to relax sometimes. This fairy has found a comfortable spot and is ready to accent any outfit and freshen up your current look. 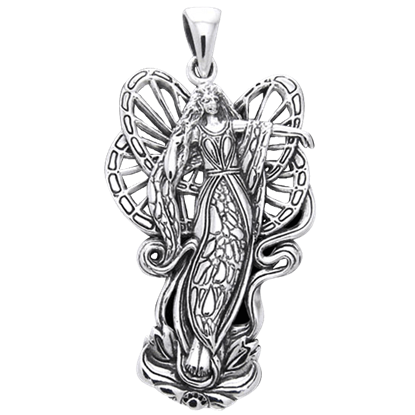 An image of elegance and beauty, this Fairy Mistress Pendant will impress all who see it. This stunning piece will easily accent any look and make you the hot topic of conversation while attending your next social event. 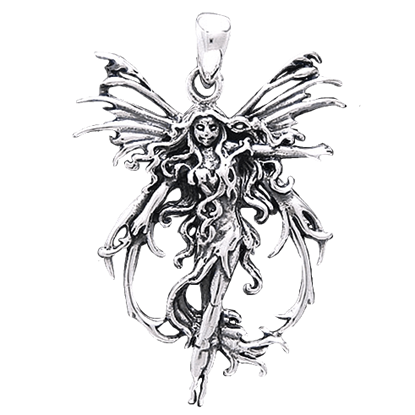 You can honor the powerful side of the fairy with the Fire Fairy Pendant. With a bit of elemental might and magic, this fairy adds something bold to your look, as well as a bit of fairy magic for good measure. A blending of eastern and western traditions, the Lotus Fairy Pendant is bound to appeal. This fairy not only embodies the shape of the lotus, but also features fine knotwork patterns that enhance her beauty tenfold.